Singapore’s Police Coast Guard (PCG) says it has arrested seven men for their suspected involvement in an illegal transaction of Marine Gas Oil (MGO). 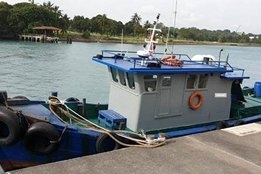 “On 29 January 2019, in a joint operation with the Maritime and Port Authority of Singapore (MPA), the PCG arrested three crew members of a craft belonging to a marine service provider and another four crew members of a foreign registered tugboat for illegal transaction of MGO at the sea off Pulau Sudong, Singapore,” PCG explained. The tugboat has been seized for investigations and its four crew charged with dishonestly receiving stolen property. The three crew of the other vessel are charged with breach of trust as servant.